Today, I want to recommend a product that I have loved for many years now: Ardell's Clear Brow Sculpting Gel. I've mentioned this product many times previously in the makeup thread, as I've been using it for as long as I can remember. Recently, when I ran out, I tried a clear brow sculpting gel from another company (whose name I won't mention because it wasn't bad; it just wasn't as good), and I immediately went back to Ardell. 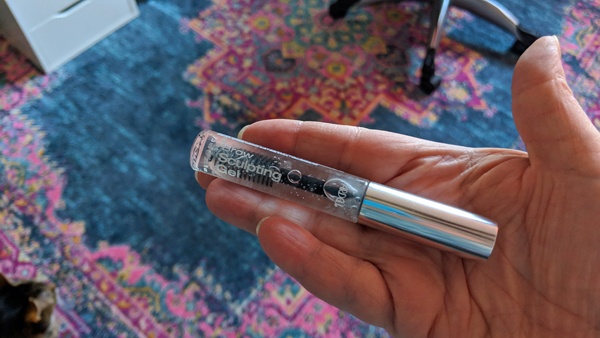 It's my favorite by a long shot, for many reasons, not least of which is that the quality of the product lasts as long as it takes me to get through a tube, which is a long time. The last tube I threw out had a cap that had broken from so much use and the text was nearly rubbed clean off the sides. And, at less than $7, my money buys me a lot of satisfaction! Thanks, Ardell!